Debt Collectors Cannot Sue You for Old Debt | The Consumer Law Group, P.C. When you default on a loan or fail to pay off a credit card, you can suffer serious penalties. However, once the statute of limitations (SOL) has run out on the debt, the debt is not collectable in court as long as you advise the court the SOL has expired. When a debt collector comes after you for old debt, and threatens to sue you, this is illegal in Virginia under the Fair Debt Collection Practices Act. For a written and signed contract, the statute of limitations is five years. For an oral or implied contract, the limit is three years. In most cases, the five-year limit will apply to debt in Virginia if you signed a contract. Most loans, credit card applications, and medical services require a signature on an agreement. However, this may be up for dispute since you may have just started using the card once the bank sent it to you and no application was signed you may need the help of an attorney to figure it out. 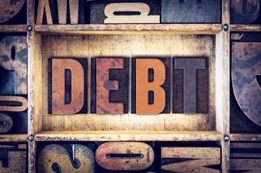 What Should You Do With Time-Barred Debt? Don’t pay it. Not paying a debt can affect your credit rating and ability to get a loan or insurance. You are better off figuring out how to pay or discharge the debt. Pay the debt off. After a period of time, you may be able to negotiate with the creditor to pay less than you owe to settle the debt. Be sure you get a copy of the settlement agreement in writing. Make a partial payment on the debt. Doing this may “revive” the debt in the eyes of debt collectors, thus starting the SOL over again, opening the door to be sued for the full amount. If you are being harassed about money you owe, contact The Consumer Law Group. We will explain your rights and help you take action against illegal debt collection practices.